hasco, Kirkwood, Pokerface and 5 others like this. 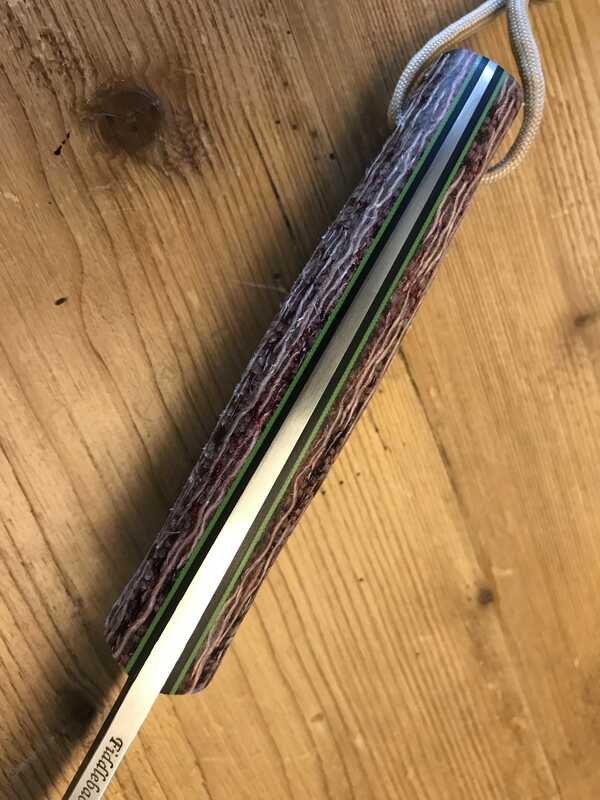 Sold - Please respond with PM to claim. 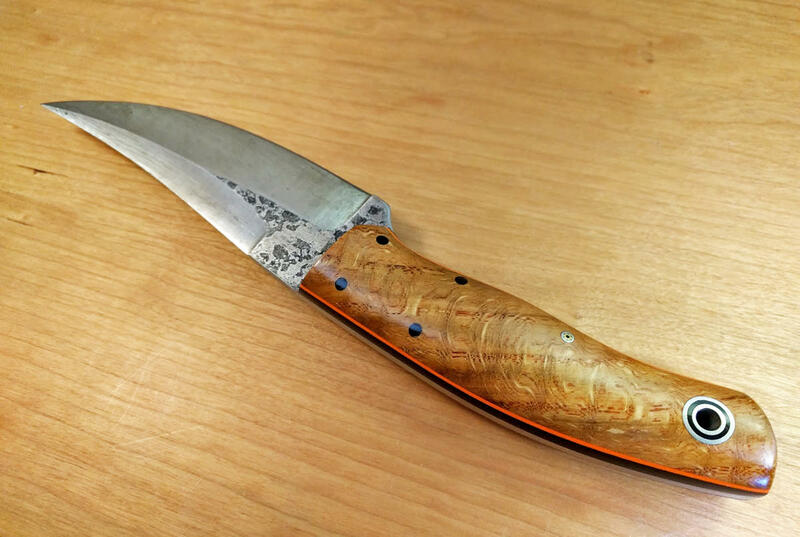 Will include a new spec ops short combat master with this knife (unused). 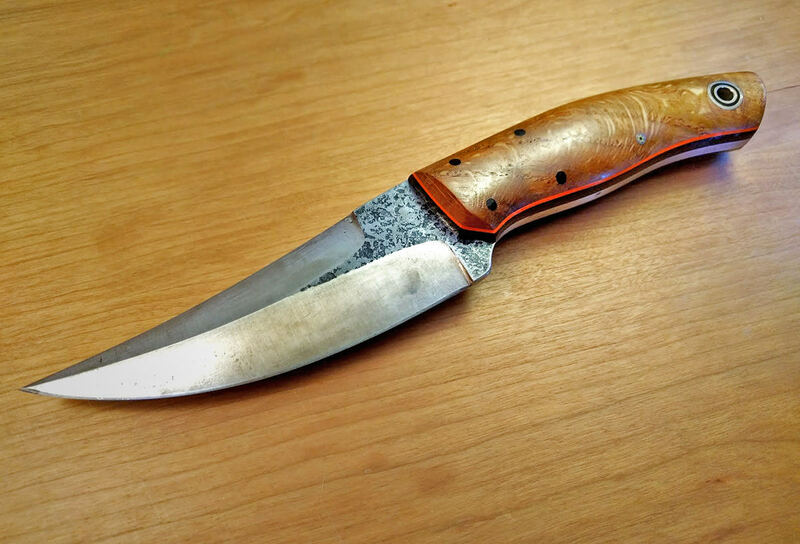 Only interested in selling u less you have a custom camp knife, thanks. Oyster, Bmurray, Lady1911 and 2 others like this. Two for sale. Prices include PayPal fees and shipping from Canada. 1. 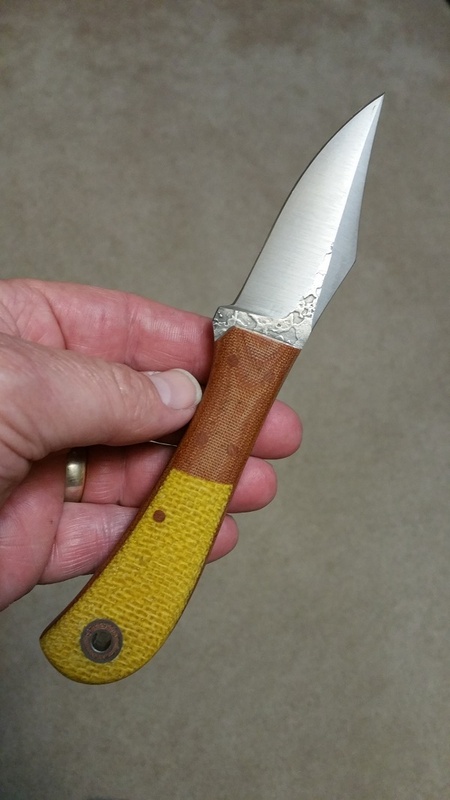 Kephart w/OD canvas Micarta over natural liners & white pinstripes, 3/32" O1. Scandi. #13342 Duke price reduced to sold including an unused Spec Ops, combat master sheath with the Duke. Price drop on #13340 Bushboot with Desert Ironwood handles. 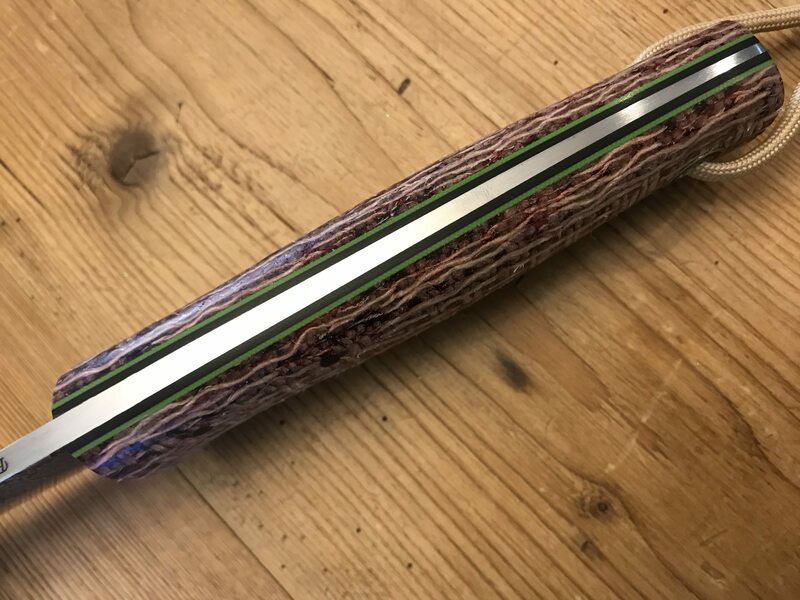 Lonestar...Phillyellow/Natural 5/32" TT (really nice taper on this one!). 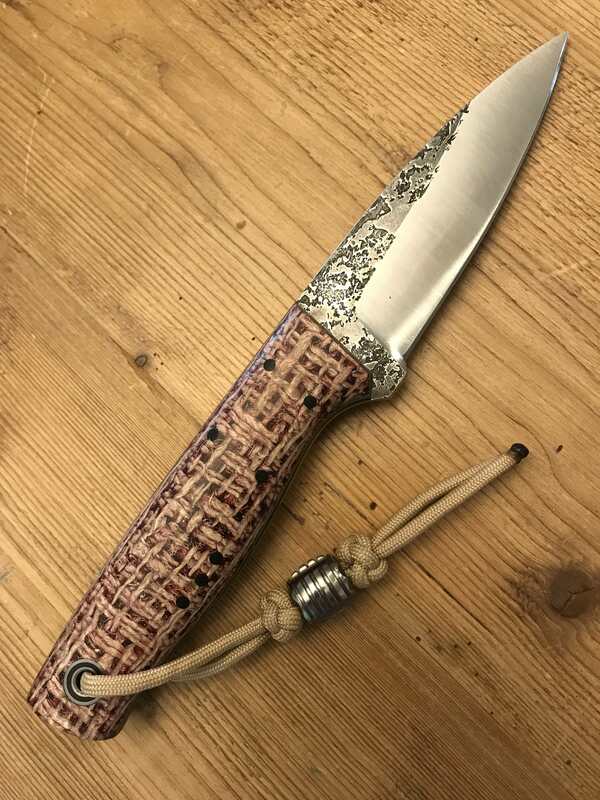 Beautiful little knife! 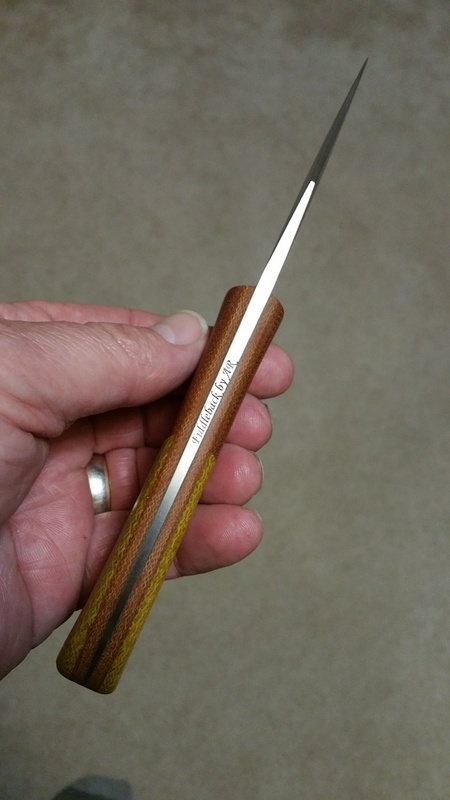 Never carried, used or sharpened. SOLD First "I'll take it" rules by PM/email. 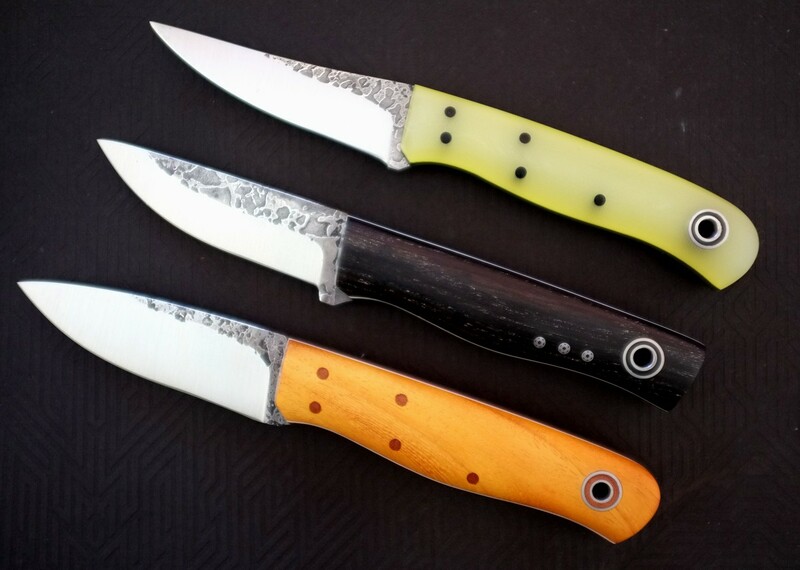 Please shoot me a PM (prefered) or email (risan at molalla.net) when you claim the knife. Not interested in trades at this time. I'll cover PP Fees and US Shipping. Thanks for looking! Wondering Wildcat, Bmurray, Nbrackett and 1 other person like this. Scotcha, Lady1911, hasco and 1 other person like this. Price drop on Phillyellow Lonestar... post 13348. SOLD Thanks! Choppaman and Nbrackett like this. Rob Z, Nbrackett, Wondering Wildcat and 5 others like this. 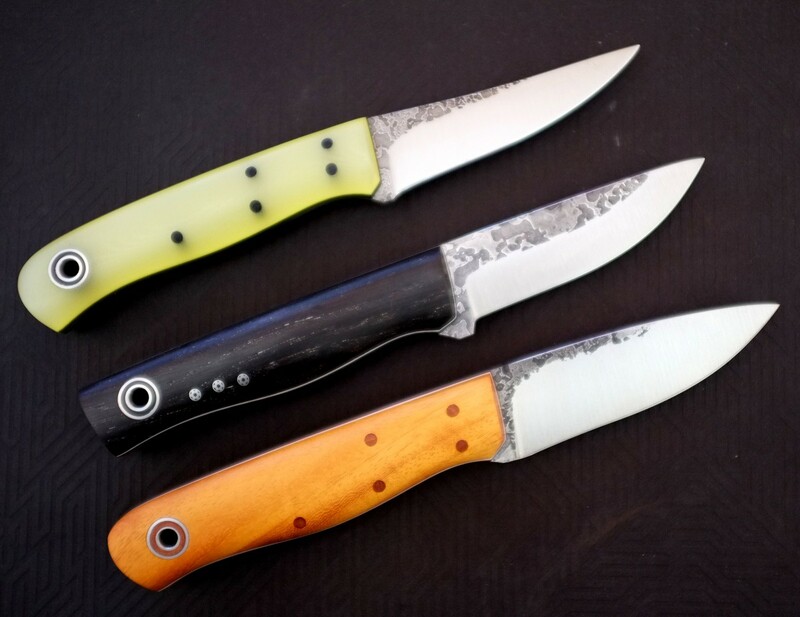 Fiddleback Bear Paw - PIB Burlap micarta, black and green liners, and a "trinity pinout." 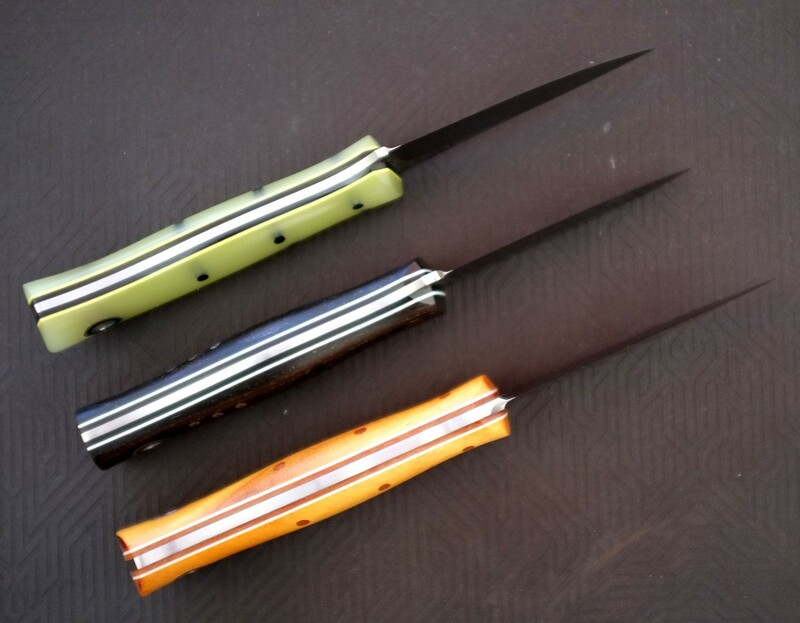 The blade is 3/16” A2 steel with a tapered tang. 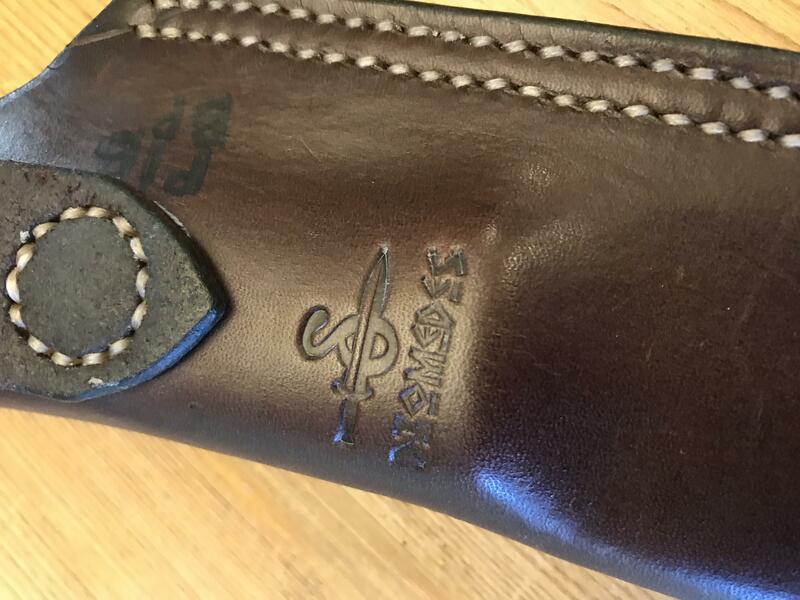 It comes with a Diomedes Sheath. 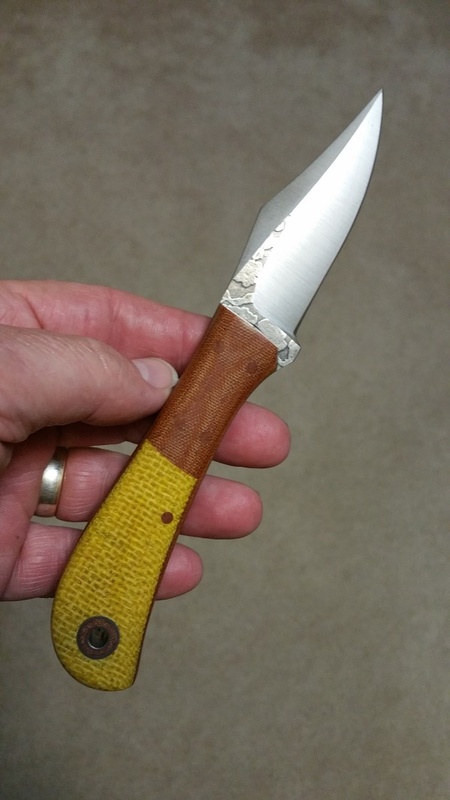 I purchased this knife new and used it once or twice for some easy whittling. It has never been abused and is in excellent condition. 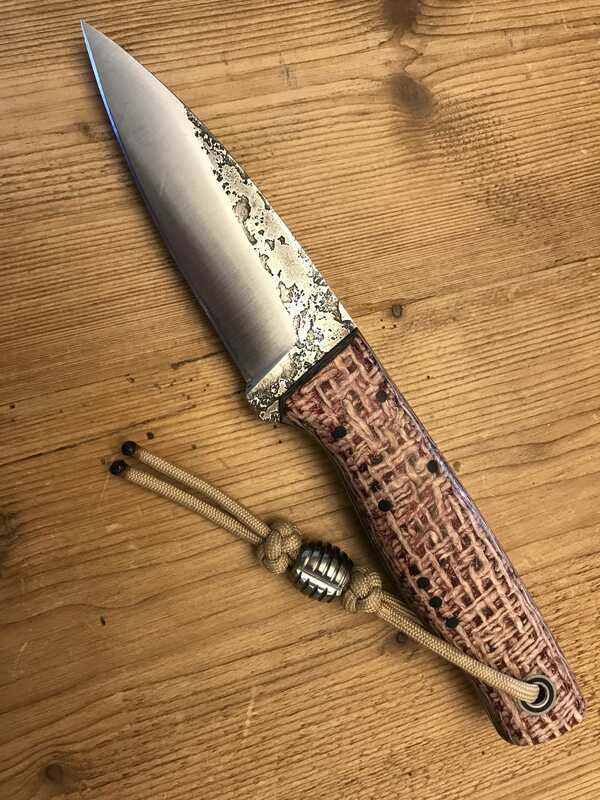 Help me to find this knife a new home! I pay for shipping and I cover all PayPal fees. Bmurray and pertinux like this. 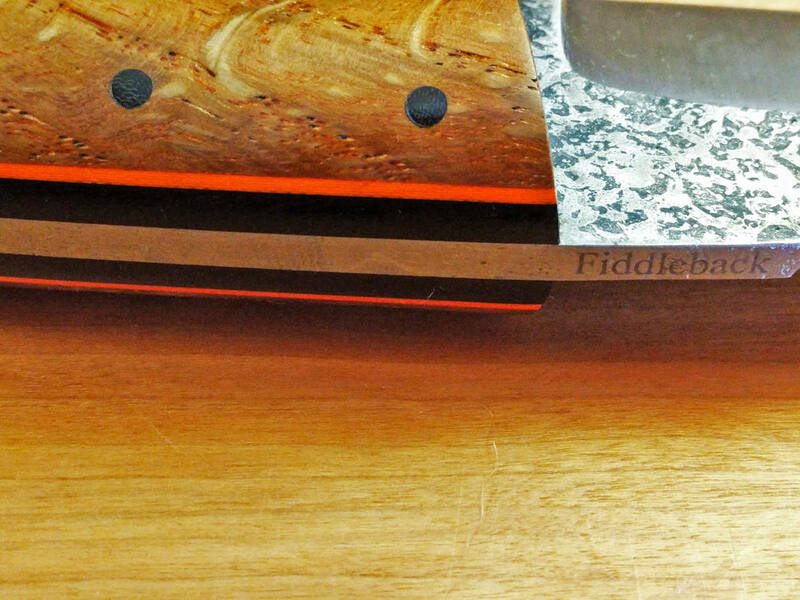 Up for grabs is a rare and exceptionally well preserved Old School Fiddleback Bourbon Street Skinner. This one eluded me on my historical photo searches... but I can tell you the pattern was introduced in January, 2012, and based on the brand markings this would have been an earlier model. This bourbon street has THICK black liners and halloween-orange pinstripes. The wood is also exceptionally thick. 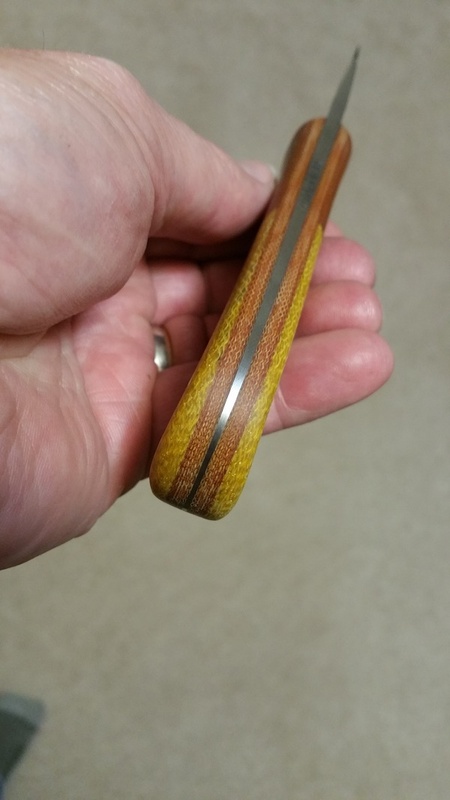 The knife handles like a baton! It's a GOOD feeling. The wood has a sort of spicy zesty citrus scent and it appears to be an oily hardwood. However, I can't place the species. It's also got a sweet MOSAIC PIN. 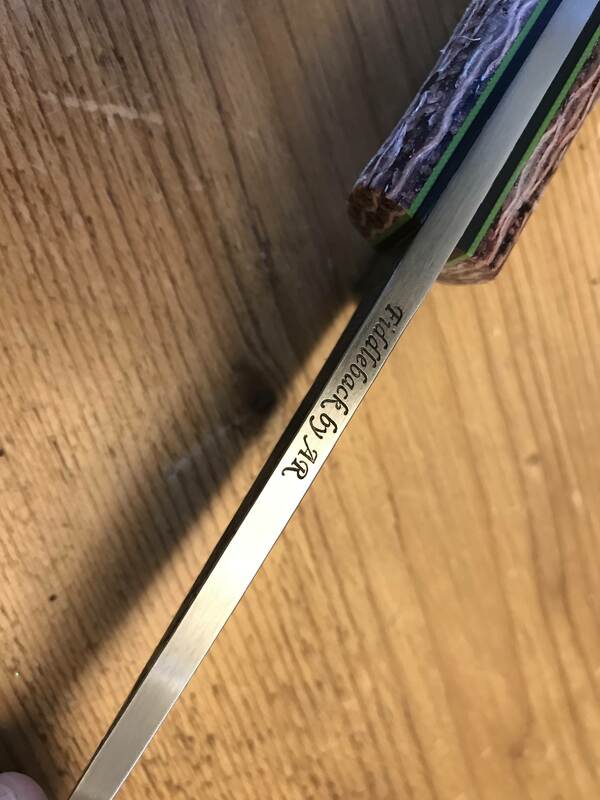 The knife is in exceptional condition, SHARP O1, but the swedge is not sharpened. 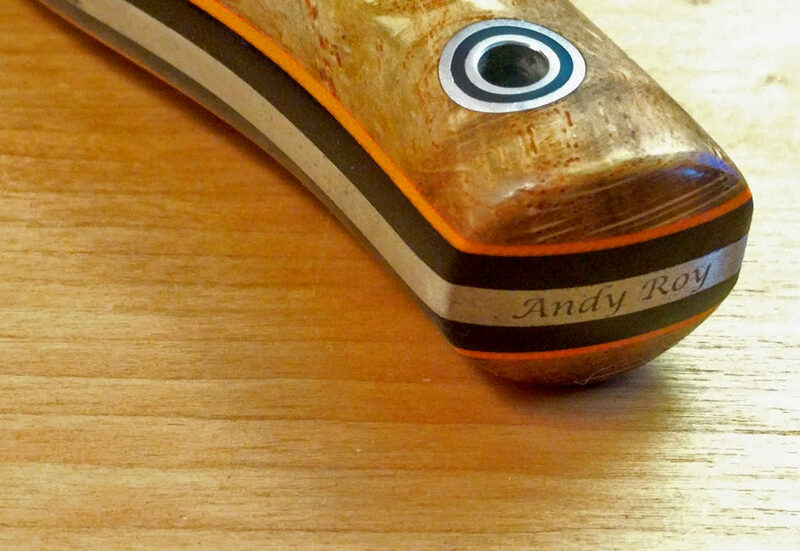 Andy Roy stamped on the bottom and Fiddleback stamped on the back. 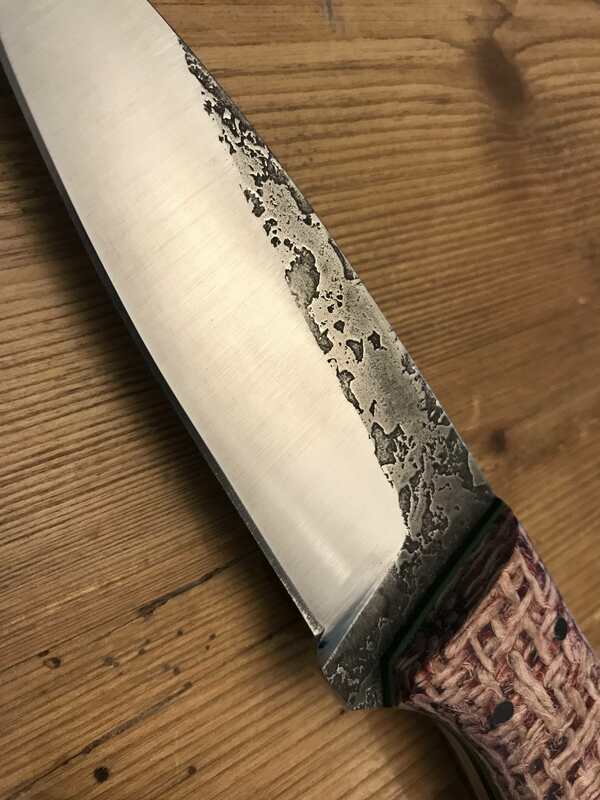 These pictures do not do the knife justice. Stamps and spalting are in excellent shape. 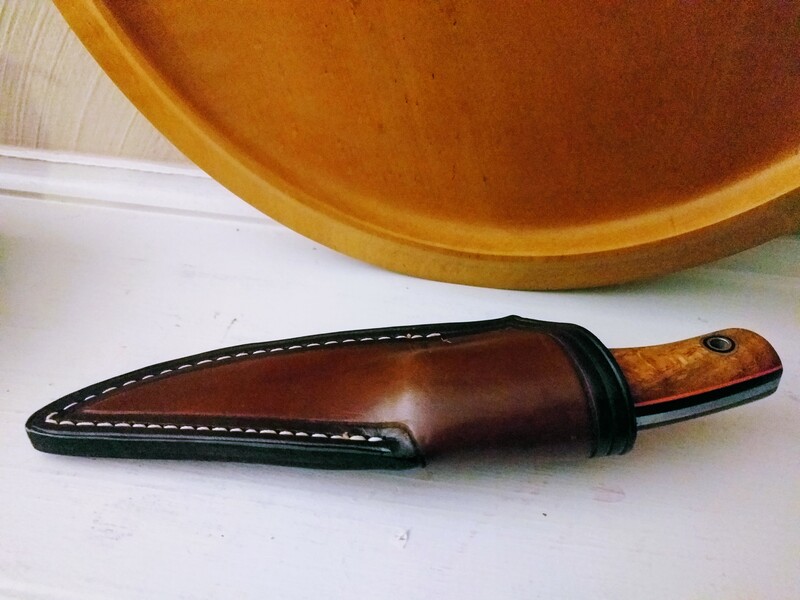 This comes with a Rick Lowe sheath. You aren't going to find another one like it. $325 PayPal Goods and Services, shipped in the continental U.S. Modified pricing available for international. 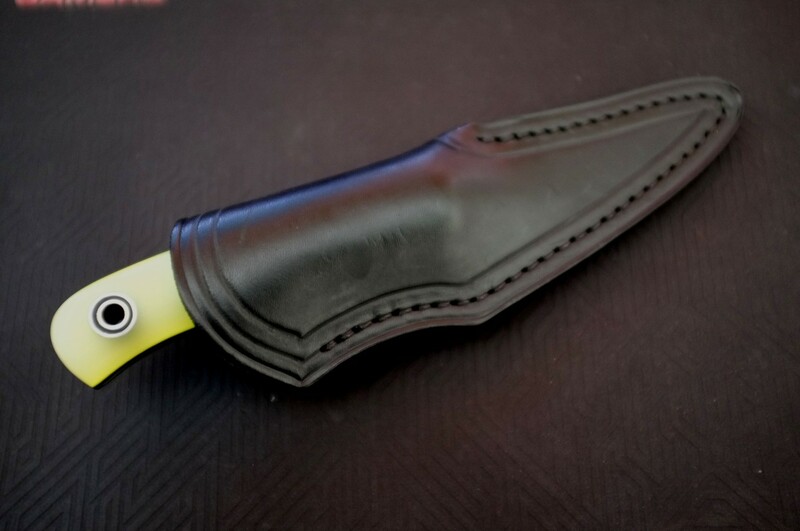 Modern day pricing with sheath would put this around a 450 at retail. 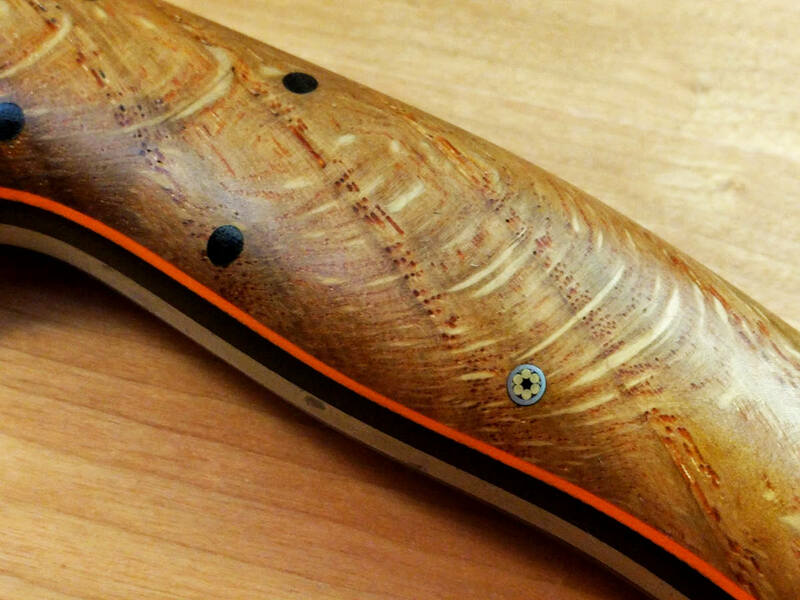 Another price drop on the Bushboot with Desert Ironwood handles, post #13340. 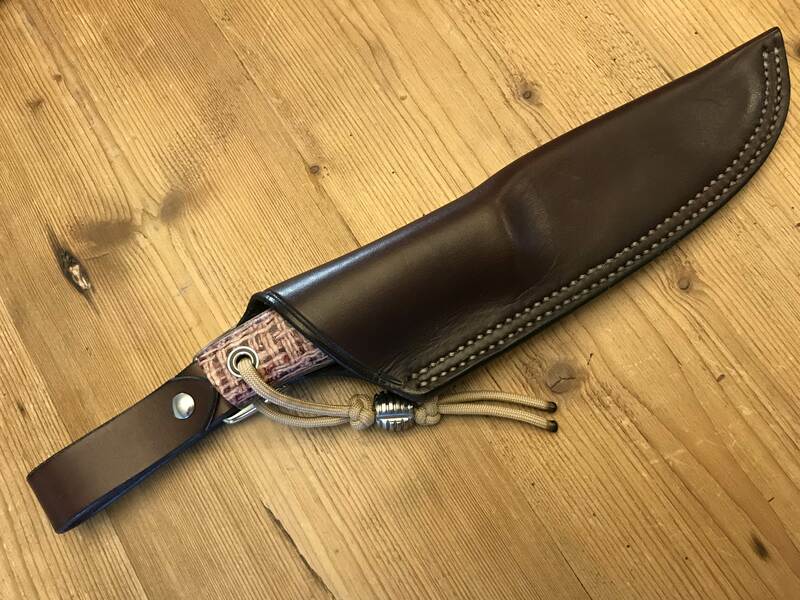 Bushcrafter A2 5/32 TT sheath not included $275 shipped CONUS. lady finger A2 1/8 $200 shipped CONUS. Few up for grabs. Price includes shipping with tracking & Insurance from AUSTRALIA ( Delivery to the USA takes approximately 5-7 Business Days ). NoRest, Wondering Wildcat, Wurrwulf and 7 others like this.